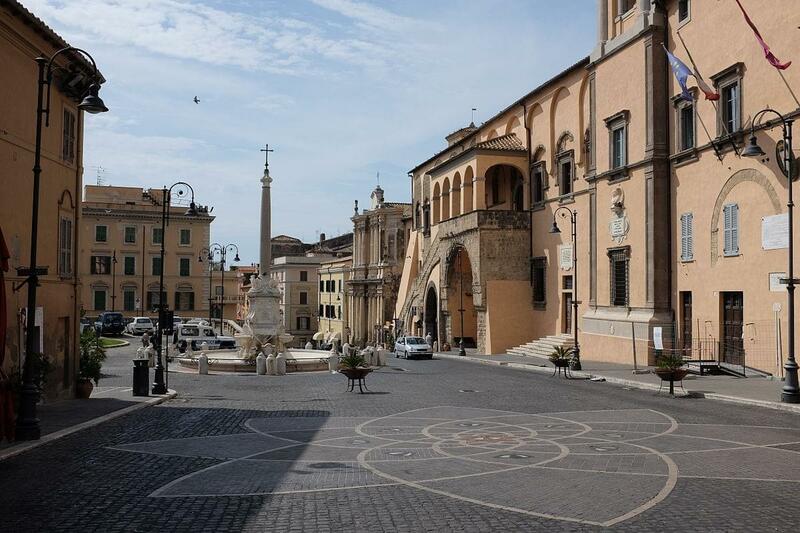 Tarquinia is one of the most important and artistically most important centers of Etruria. A village with strong medieval characteristics, it is an archaeological site that has recently gained international fame. 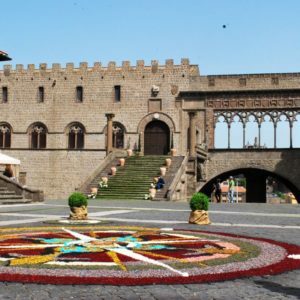 Moreover, its enviable geographical position is even more enviable thanks to the proximity of important tourist hubs such as the Port of Civitavecchia and the Fiumicino airport. We can consider Tarquinia as a sort of privileged tourist destination, where visitors can admire architectural, artistic and archaeological structures of great historical value and precious natural environments such as the Nature Reserve of the Saline di Tarquinia, the Maremmana countryside, the nearby Monti della Tolfa and Monti Cimini, the Argentario and the Isola del Giglio in Tuscany. Even the climate, never too hot in summer or too cold in winter, allow you to fully enjoy and enjoy the beauty of this city. 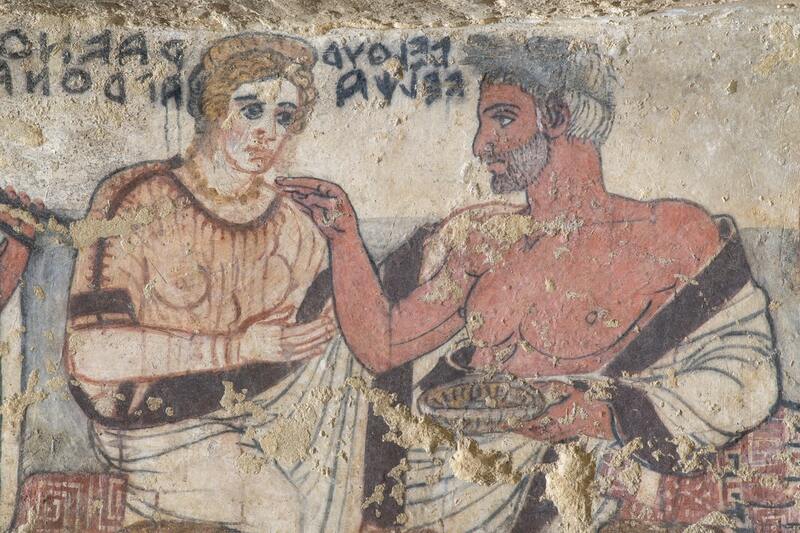 The origins of the village of Tarquinia are not yet well defined. Of course, it was a bishop’s seat since the century. 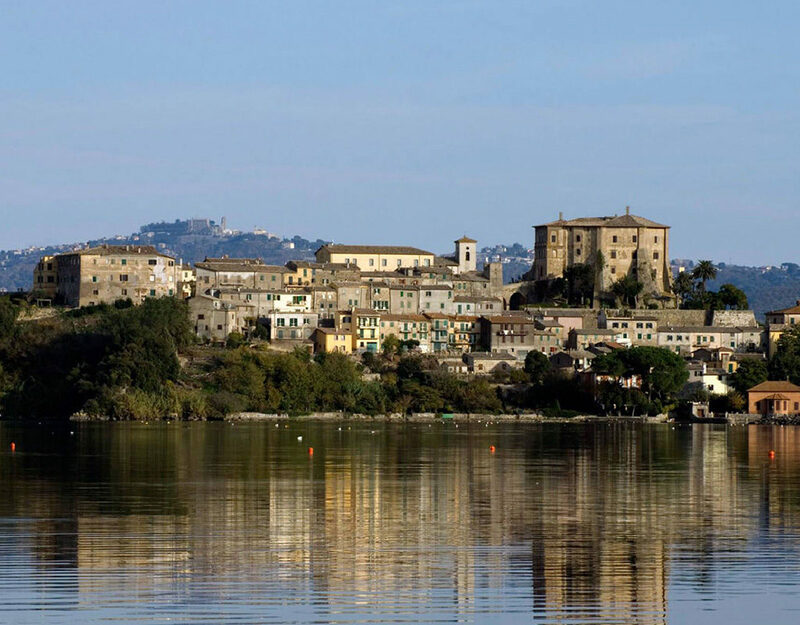 IV and the poet Petrarch defined Corneto (ancient name given to Tarquinia) “turritum et spectabile oppidum, gemino cinctum muro”. That is, a “beautiful fortified village surrounded by double walls” made even more majestic thanks to its powerful 38 towers. Until the century XIX, it was called Corneto term derived probably from the presence of cornel trees or from the mythical king Corito, its founder and progenitor of Aeneas. 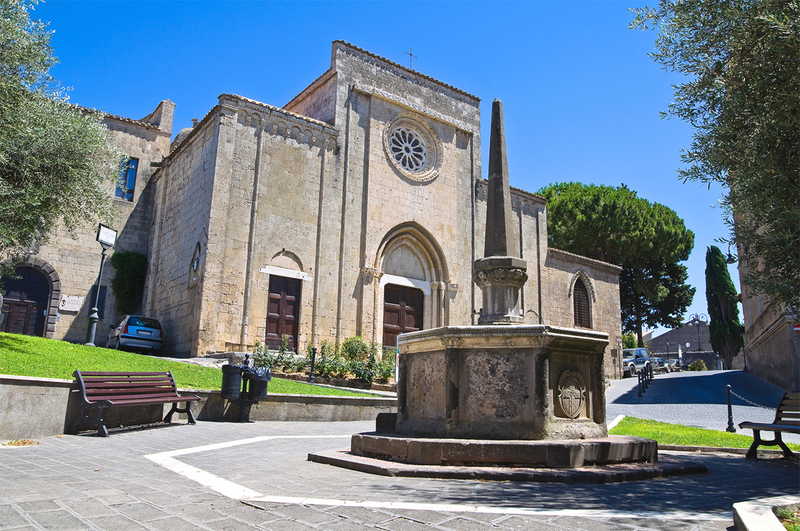 Tarquinia is only 20 km from the port of Civitavecchia so is a perfect destination if you don’t want to spend mostly of your time driving. 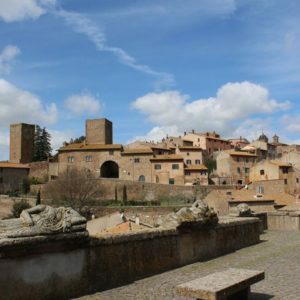 Can be combined with Tuscania another beautiful Etruscan town only 20 minutes from Tarquinia. Our driver will pick you up at the time that you prefer with a comfortable fully loaded minivan,so the group as always in our tours won’t be more than eight people. In 1872 the city took the name of Corneto – Tarquinia and then definitively changed to Tarquinia in 1922. 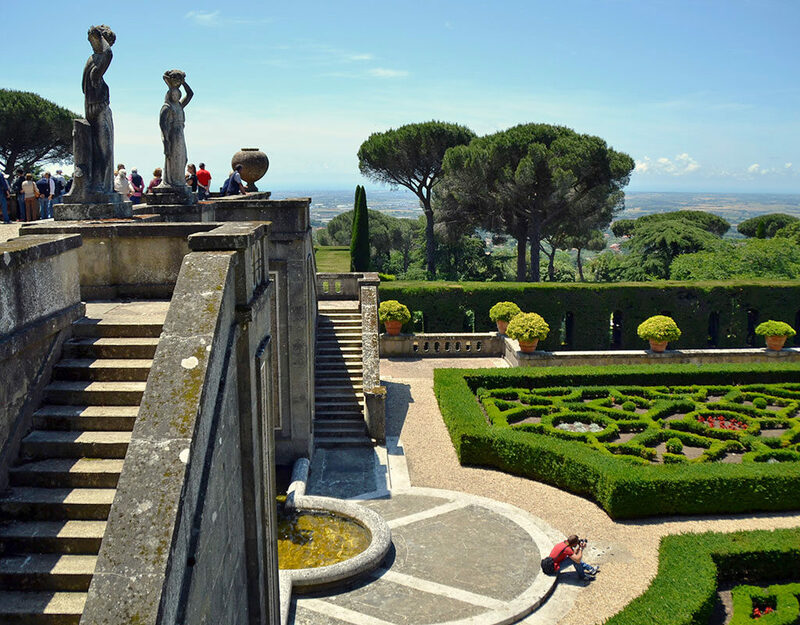 Over the centuries Tarquinia has seen the birth of magnificent palaces and splendid churches by the Papal State and the nobles of the time who had a strong consideration of the town. Among the religious buildings we invite you to visit the Cathedral built in 1260 and the main place of worship of the village, then we find the Church of Santa Maria in Castello (1121-1208) where there are Lombard and Cosmatesque styles, the Church of Santissima Annunziata with Arabic architecture and Byzantine, the Church of San Giuseppe, the Church of San Leonardo and the Chiesa del Suffragio. 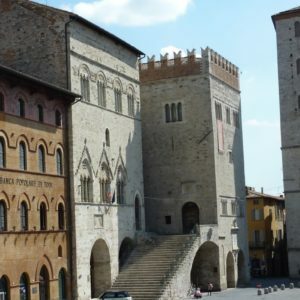 In the historic center you can see the remains of what was once the Palazzo dei Priori and numerous towers that stand out among the houses of the village. In the northern area of Tarquinia, in fact, are visible the ancient walls and the mighty towers that give a distinctly medieval appearance to the landscape. And finally a special mention deserves the Palazzo Vitelleschi, whose construction began in 1436 and ended with some extensions in 1490, where there are Renaissance styles that give it an even more elegant appearance. Currently it is home to the Museo Nazionale Etrusco. What makes the trip to Tarquinia a unique experience is the visit to the nearby Etruscan necropolis. An element of exceptional archaeological interest is in fact constituted by the vast necropolis, in particular the Necropolis of Monterozzi, which contain a large number of tumulus tombs with rooms carved into the rock, in which an extraordinary series of paintings is preserved. 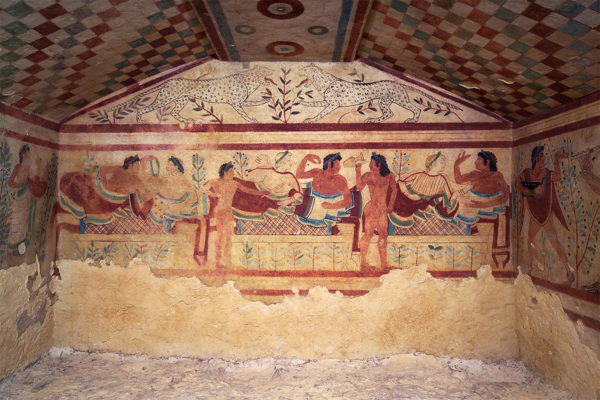 In their entirety, these represent the largest site of Etruscan pictorial art ever come to us. At the same time they are the widest document of all ancient painting before the Roman imperial age.